Annamaria Gelmi was born in Trento, where she currently lives and works. She studied at the Art Institute in Trento, at the Brera Academy in Milan and at the Venice Academy. She held her first exhibition in Trento at the Mirana Gallery in 1970. At that time she started to work with materials like plexiglas, methacrylate and other plastics. As a result she gave birth to works that played with transparency and to others, consisting in large acetate sheets with basic geometric shapes drawn upon them with indian ink that projected shadows while hanging in a room, involving the surrounding space. Of this period are the writings by U. Appolonio, S. Branzi, B. D’Amore, L. Serravalli, A. Veca and the solo exhibitions in galleries like Il Traghetto – Venezia, Pancheri – Rovereto, Studio SM13 – Rome, Arte Struktura – Milan, Tardy Enschede – Holland, Indiano Grafica – Florence, Spatia – Bolzano. In 1978 she was invited to Murano for a residency. There she shaped glass together with the master glaziers, creating various works. 1990 – In this period she created the iron, stone and brass sculptures/installations (Il giardino dell’altrove, Il labirinto, Mistero Sacro, Il giardino) and the book SKY LINE, which was presented at the 46th Biennale Internazionale in Venice. Of this period are the writings by G. Nicoletti, F. Gallo, C. Cerritelli, S. Zanier, R. Turrina , D. Collovini, E. Schloker, G. Bonomi, F. Gualdoni, V. Coen and the solo exhibitions in museums and galleries like Goethe – Bolzano, Museo Tridentino di Scienze – Trento, Grigoletti – Pordenone, MART Museo d’Arte Moderna – Trento, Galleria Civica – Trento, Museion Intercolummnie – Bolzano, Museo Casa Bianca Malo – Vicenza, Rocca Paolina – Perugia, Cassa dei Carraresi – Treviso, Galleria Comunale d’Arte contemporanea “Ai Molini” – Portogruaro, Italian Culture Institute – Vienna. Since the year 2000 she has been presenting works made of iron. M. Mojana, F. Batacchi, B. Braun, M. Scudiero, G. Campolieti and E. Pouchard wrote about her. She hold exhibitions in public spaces like the SS. Giacomo e Filippo Church – Andora, the Faculty of Theology of the University of Innsbruck, the Italian Institute – Innsbruck and the Studio Lattuada – Milan. 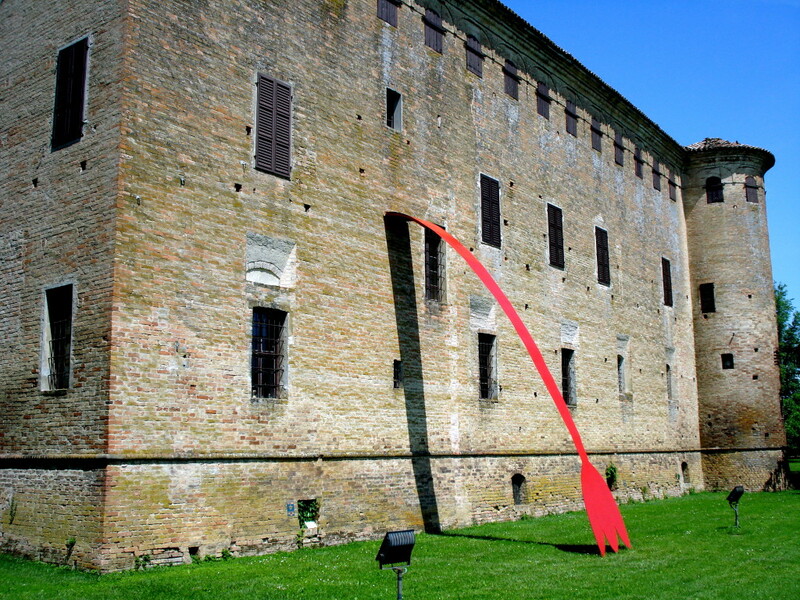 In 2010 she participated at exhibition “International of Sculpture”, Castello di Raconigi – Torino and exhibition “Gelmi”, Castello di Rivara and showed a book “Dolomiti New York” at the museum MART – Rovereto (Trento). In 2011 she participated at exhibition “International of Sculpture” Villa Torlania – Roma, “Dolomiti New York”, Spazio Italia – Monaco, Parlamento Europeo – Bruxelles, “Blak to Blak” Castello di Rivara – Torino, “Pretiosa” Gallery Varart – Firenze, “La Regola della Mano Destra” Museum MAGI – Bologna. 2014: “Infinito presente”, Diocesan Museum – Trento, by Andrea Dall’Asta, Domenica Primerano, Riccarda Turrina. In 2015 she presented in Rome some handmade books in “Opere e Libri” at the National Gallery of Rome. In 2016 she made several installations including an important installation in the cathedral of S. Jacob – Innsbruck, “Oltre il Sacro” by G. Larcher; one in the Campari Wall Gallery – Milan, with Eden and more recently the installation Leukos at the Diocesan Museum – Trento. Vicenza – Valmore Studio d’Arte, “Geometrie nello Spazio”. Riva del Garda (Trento), “ArteForte”, curated by Mariella Rossi.